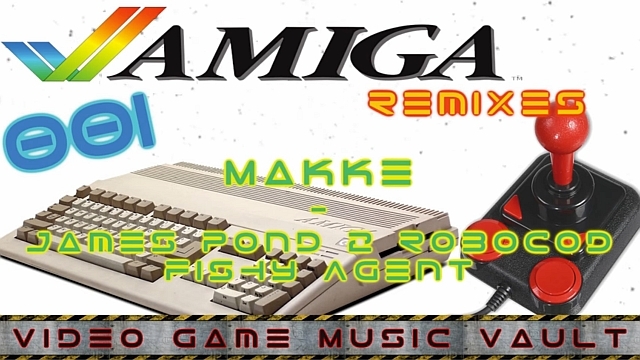 Indie Retro News: Amiga and C64 tunes - These are just too good! Amiga and C64 tunes - These are just too good! Many months ago, perhaps even last year, we used to feature retro gaming music pretty much every weekend, but after some consideration we decided to step back from that and just feature game news. But after talking to our good friend Aaron for more C64-Amiga tunes, we came across a playlist that I haven't stopped listening to all evening. It is a playlist by Video Game Music Vault that features some of the best remixes and tunes I've heard all year. In fact, he doesn't just have Amiga remixes, but Amiga tributes, C64 remixes, C64 tributes and Keygens. These are so good in fact, I recommend you take the weekend off just to listen to them! And that's just a taster, for the entire playlist of awesomeness, visit the links below!